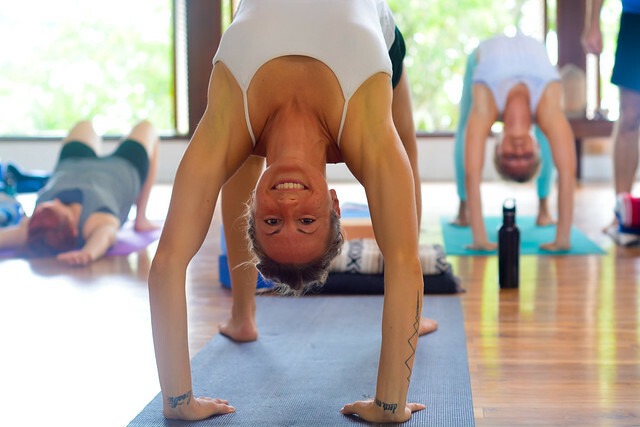 Whether it’s surrounding yourself with a supportive environment or you’re looking for a yoga teacher training to fit your tight schedule and budget, here are some of the best reasons a 14-day yoga teacher training immersion is the perfect way for you to get your certification. 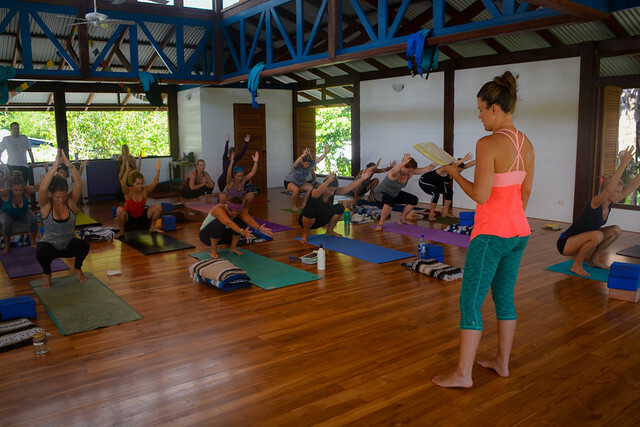 Learn More About Blue Osa’s 14-Day Yoga Teacher Training Immersion In Costa Rica! You know you want to be a yoga teacher, and you also know you don’t want to just study and practice on the weekends. You’re committed, and you’re ready for the real deal. That’s what a 14-day 200-hour yoga teacher training will give you: a totally authentic and transformative experience. You’ll leave home a person who loves yoga, and return a teacher who has a solid practice and a deep understanding of yoga and how it can play an important role in your life and the lives of your students. Ever feel like you could use a detox, but you don’t get around to it because of (insert excuse here)? 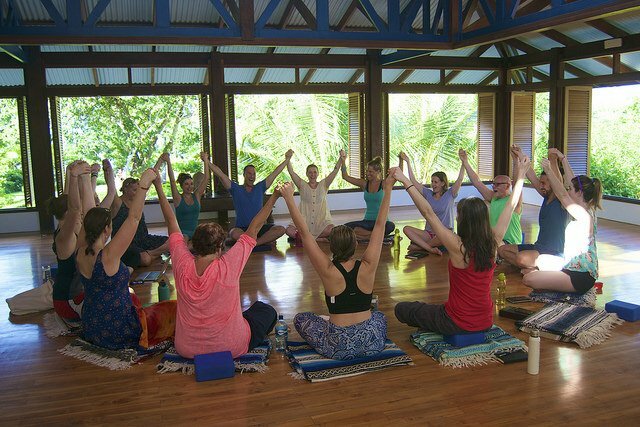 At Blue Osa’s 14-day 200-hour yoga teacher training, you have no option but to be healthy. 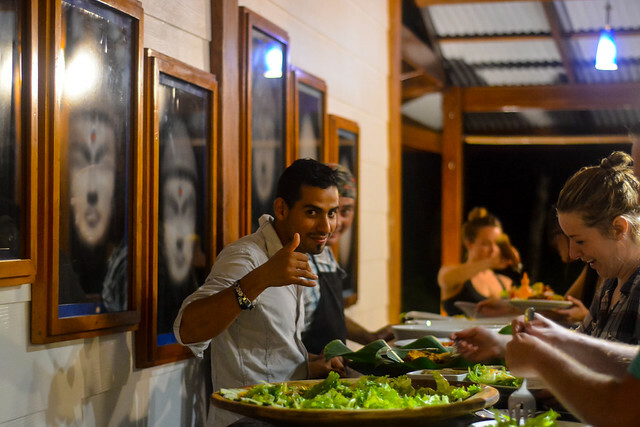 Our delicious, farm-to-table meals will nourish your body with clean energy, and your daily yoga and meditation practice will nourish your physique and your soul. This is how you develop healthy habits and stick with them. Imagine what 14 days of intensive focus on yoga will do for your practice and your life. A 2-week 200-hour yoga teacher training is the perfect opportunity to focus deeply on yoga and what it means for you. You’ll build a strong foundational practice in yoga. It may not seem like a lot of time, but it’s 2 weeks that will change your life. You know you want meditation to be a part of your daily routine, but with a busy schedule, it can be hard to “fit it in.” Here at Blue Osa, we take meditation very seriously. We observe silence until 7:30 am every single day. 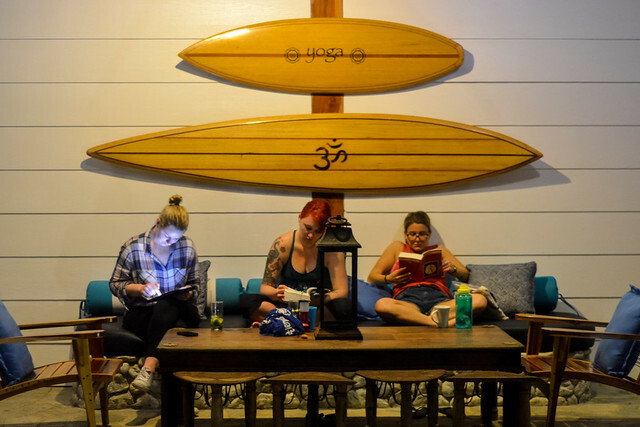 With sunrise sessions, an energy-steeped temple, and ample space and quiet for reflection and calm, you’re sure to leave here with a rock solid meditation practice. In face, you’ll probably start to wonder how you ever survived without it! 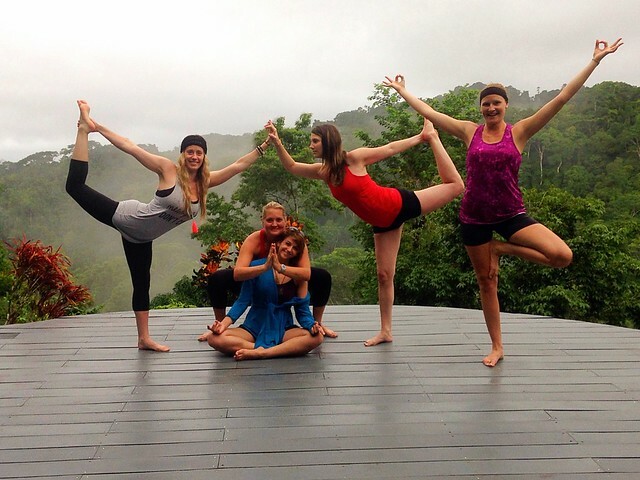 #10: Yoga + The Costa Rican Rainforest = Total Bliss! 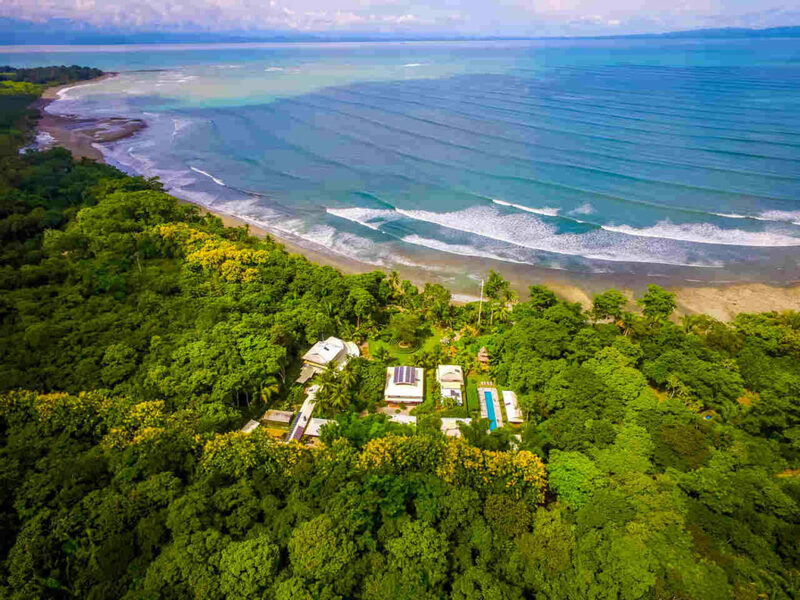 Put yourself here with your mind’s eye: daily yoga and meditation to the sounds of waves crashing and exotic animals living their lives in the trees. 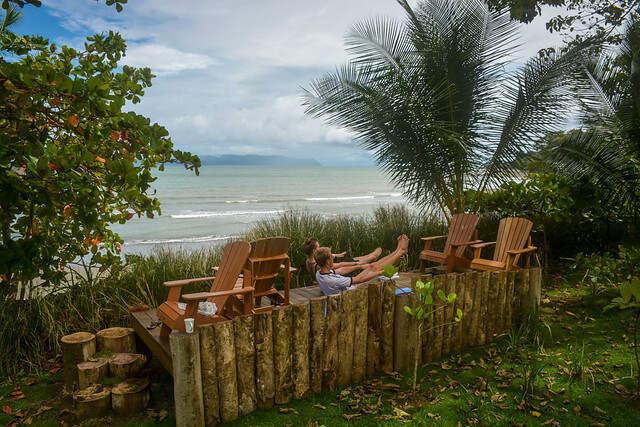 At our eco resort, you’ll have time and space to roam and explore the beach and the jungle, taking in all the vibrant plants and meeting beautiful new creatures along the way. This is every day at Blue Osa! We strongly believe that our 14-day 200-hour yoga teacher training is the perfect way to discover your true path in life. 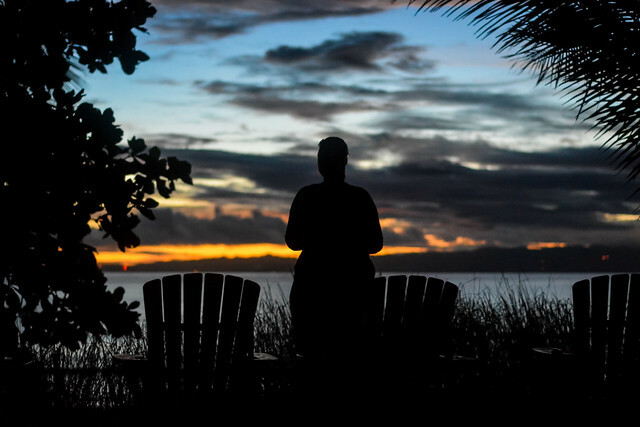 Ours is an excellent setting to focus inward and get a sense of renewed vision for your direction. We want to help you live your truth and unleash your true potential! One of the most amazing things about our 200-hour yoga teacher training program is the people it attracts. Not only will you have access to amazing teachers to guide your quest for knowledge and growth, but you will also create lifelong relationships with your fellow yogis. Nothing beats 2 weeks of intense study with a group of like-minded people himwho are fully invested in you and your wellbeing. It’s a shared experience that will keep you tied to your new friends for years to come. 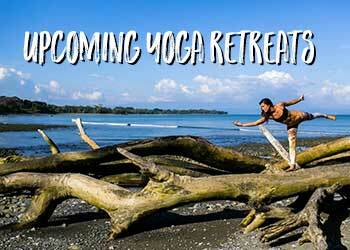 Your 14-day immersion will teach you a ton about yoga and its fascinating history. This will only further your appreciation for, and investment in, the ancient practice that is yoga and meditation. Be honest: you’ve been needing a vacation. But imagine a vacation where you also learn new skills and come home a certified teacher. So, not only will you be discovering a new country and enjoying lots of peace and a healthy lifestyle, but you’ll be adding value to your time off by discovering yourself and your truth along the way. Your leaders during your 200-hour yoga teacher training have your growth at the forefront of their goals. At Blue Osa, we believe that living stops when learning stops, so we provide you with ample opportunities to discover, learn and grow. We want to guide you on your path to explore new worlds, inside and outside of yourself. Of course, no 200-hour yoga teacher training experience is complete without you leaving with a great working knowledge of how to structure a class, how to teach to certain demographics of students, and how to safely and effectively guide others along their yogic journey. 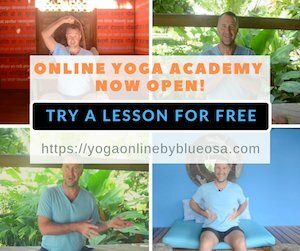 You’ll leave Blue Osa with confidence in and passion for sharing the gift of yoga with others. Arguably one of the best things about a 14-day immersion is that you can essentially take your vacation and come back a certified teacher. We get it- you probably have many other commitments and obligations, so it can seem like you lack the proper amount of time to follow your dream of becoming a yoga teacher. If you don’t have an entire month or more to dedicate to your 200-hour yoga teacher training, this is the perfect place for you! 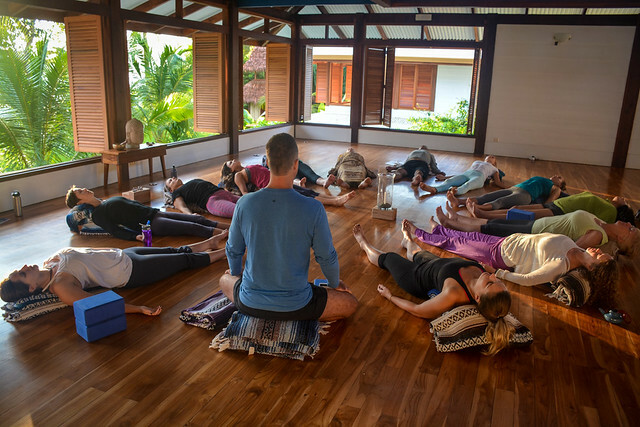 Because you’ll be staying with us for less time, our 14-day immersion is less expensive than our full 1-month 200-hour yoga teacher training. But just because it’s easier on your pocketbook doesn’t mean there’s less value in your experience with us. We are committed to giving you a high-quality training that is easy on your pocketbook and your schedule. #1: Your Life Will Be Changed Forever! Like we said before, just because this 200-hour yoga teacher training takes less time and costs less than other trainings does not mean you’ll be left wanting. If you’re ready for a deeply transformative experience that will open up opportunities and direction for you, our 14-day immersion could be the best choice you ever make! We would love to have you begin your yoga teacher journey with us! 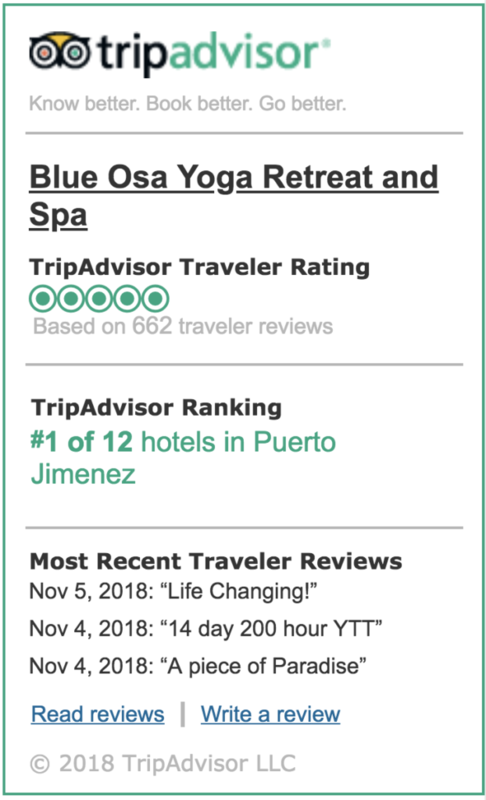 Take a look at our availability for our upcoming 200-hour yoga teacher trainings and find out for yourself just how rewarding 14 days in the Costa Rican rainforest can be!